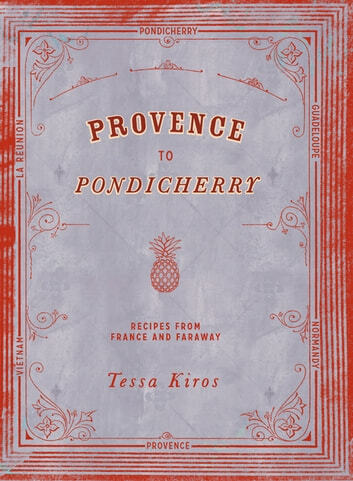 Tessa Kiros, renowned for her exquisite food and travel books, takes us on a fascinating journey across the globe to explore French culinary influences in far-flung destinations. Her journey begins in Provence, where Tessa first fell in love with French food, and explores the Mediterranean region’s links between the indigenous ingredients, flavours, materials and traditions. 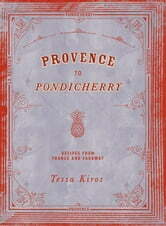 She then takes the path of early French explorers, travelling to the island of Guadeloupe in the Caribbean; Vietnam in South-east Asia; Pondicherry on the Bay of Bengal, India; La Réunion, a French island in the Indian Ocean; finally returning to France and landing in Normandy, where the cuisine is so different from the South of France. In each destination, Tessa delves into the history and culinary traditions of the country (or region), discovering how French cuisine has become embroiled with local ingredients and traditions. The result is an intriguing collection of recipes that will appeal to all those with a broad interest in food and culture.